Population: Approximately 590,000 according to the latest census. Opening hours: Typical hours for shops are 9am – 6pm Monday to Friday. Most shops open during the weekend but with restricted hours. Opening hours: 9am – 5pm Monday to Saturday. 9am – 4pm Sundays and public holidays. Closed Christmas Day. 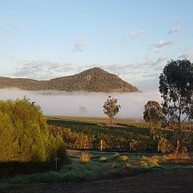 In addition to exceptional food and wine, the Hunter Valley offers many delightful experiences and adventures. This is a place where nature is on a grand scale with extraordinary environmental diversity. And you'll find the fascinating history and lively cultural scene enchanting. Steeped in history, the federation gothic building housing Maitland Regional Art Gallery is an awe inspiring example of early 1900's architecture. Officially opened in 1910, the building was constructed to house the Maitland Technical College, which it continued to do until 1987. Known locally as MRAG, each year the gallery shows thousands of artworks and creates hundreds of learning activities across 25 exhibitions annually, while sharing the 4,000+ art collection. The award winning building is as much a part of the experience as the artworks on display. 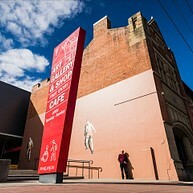 Located on High Street at the eastern end of Central Maitland, the gallery offers a great diversity of spaces. Be it exhibitions, workshops, café lunches, shopping, talks, tours or events, MRAG is friendly and inviting. All public areas of the gallery can be reached by stairs and lift, with fully accessible public amenities conveniently located on the ground floor. Entry to MRAG’s carpark is via a rear service lane off James Street, and includes two dedicated disabled parking spaces. This collection includes unusual and exquisite items of clothing and handwork that reflect the fashion and ingenuity of Australians during times of deprivation such as the Great Depression, WWI and WWII. Try exciting whitewater adventures in a kayak or canoe in Barrington Tops National Park, or go mountain biking on trails through the park's forests. Join a guided tour designed to suit your experience with all equipment provided. Or hire a kayak or canoe and paddle at your own pace. 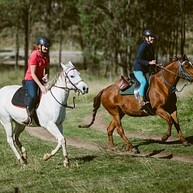 Chapman Valley Horse Riding provides horses for all levels of experience, from beginners to advance riders. Experience nature up close as you travel on horse-back through the scenic valleys and mountains of the 2,600-hectare property which has been owned by the Chapman family for more than 170 years. This is a picturesque 6,487 metre, par 72 18-hole championship golf course and is ranked among the top resort courses in Australia. The eclectic collection reflects the area's rural history, including its dairying, timber and manufacturing industries. A wide range items are on display including household goods, photographic collections, dentist equipment and horse carts and buggies. Guided tours of the museum are available by appointment. Learn how to create alcohol-infused candy at the Hunter Valley Resort's 90-minute Big Kids Candy cooking classes. Working alongside one of the resort's executive chefs, you will make peanut brittle, marshmallows and rocky road chocolate. With a spectacular backdrop of vineyards and rugged mountain ranges, the Hunter Valley Golf and Country Club is a beautiful 18-hole championship course. 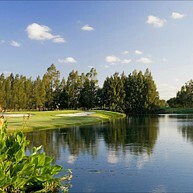 Located at Crowne Plaza Hunter Valley, the fully accredited course measures 5,170 metres in length and is suited to golfers of all levels. James Estate offers sweeping views of the spectacular mountain ranges and Baerami vineyard from the spacious cellar door sales and tasting area. Enjoy tasting the range of wines as you take in the natural beauty of the region. The ridge walk and mountain bike trails are accessible from the cellar door. 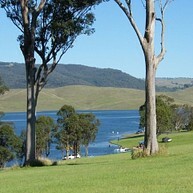 The lake is a premium outdoor leisure facility nestled among the hills at the foot of Mount Royal Range near Singleton. Swimming, sailing, water skiing, and camping are a few of the activities enjoyed on the lake. The NSW State Fisheries regularly stocks the lake with bass, golden and silver perch and catfish, making it a great location for fishing. Entry and camping fees apply. Bookings are essential for powered camp sites. 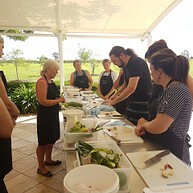 Prepare a feast using local produce to create Asian cuisine in a covered courtyard with gorgeous vineyard views. Thai, Balinese, Sichuan, Indonesian and Vietnamese classes are available. Small class sizes (maximum 14) with individual and group bookings are also welcome. 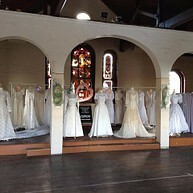 The centre hosts to a variety of events, exhibits and activities as well as displaying for sale a wide range of arts and crafts made by residents of the Cessnock area. Marthaville is the oldest timber sawn home in Cessnock and still retains many of its original piers. Admire the charming scenery at Middle Falbrook Bridge over Glennies Creek. 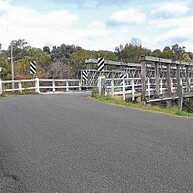 The Hunter region has 15 historic bridges constructed before 1905. This timber truss bridge was built in 1904 and gains heritage significance from its design - based on American Ernest de Burgh's truss design - and its association with the expansion of the NSW road network. The centre presents travelling and local exhibitions, and art prizes (including the Muswellbrook Photographic Award and the biennial Muswellbrook Open Art Prize) along with periodic selections from the permanent collection. 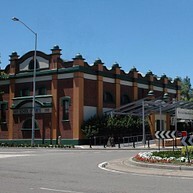 The museum houses railway memorabilia from both the steam and diesel eras. The site includes the old Station Master's residence that has been restored to its 1930s exterior appearance and colour scheme. The Rail Motor Society offers visitors tours on board the historical rail motors around the local area and across the state. 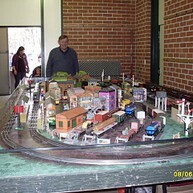 This volunteer non-profit museum was formed in 1979 to preserve the railway and mining heritage of the Hunter Valley. The museum runs trains on the first three Sundays of each month and every Sunday during school holidays, as well as offering mid week tours and special night time events.